A friend in London recently posted this to me after she visited the famous Bletchley Park in Buckinhamshire, England. 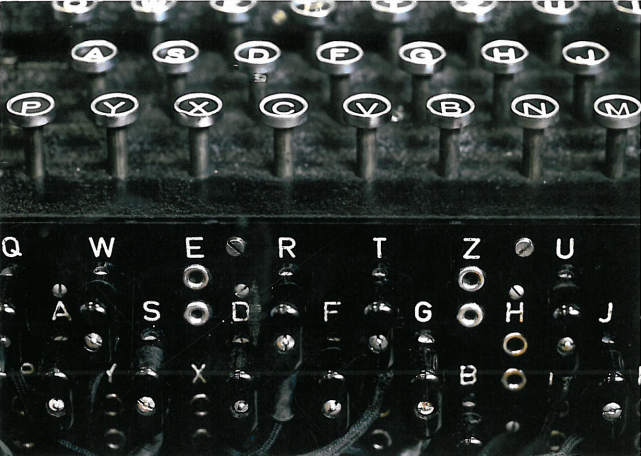 It is widely recognized today that Bletchley Park was a secret facility used by the British government to code and decode German messages during WWII and was instrumental in winning the war. I am a big WWII history buff, especially when it comes to the techniques intelligence services utilized during the war. So, I still kick myself for not making a trip out to Bletchley Park to see the museum of the former codebreaker school, when I lived in the U.K. It’s definitely on the list of places to visit next time I am in southern England. The picture above is of an Enigma cipher machine, used by codebreakers at Bletchley Park during WWII to decode German messages. On a side note, I am excited to see the new film “The Imitation Game” which is about Alan Turing and Bletchley Park! The first thing I do when I travel/move to a new area is to seek out a place I can get good coffee! But, wait…you may ask “What about a certain global coffee chain that has invaded every corner of the world? !” Oh yes, Starbucks. To put it bluntly — I don’t like Starbucks. The coffee is over-roasted so that it tastes burnt and often (no matter what country you’re in) it’s twice as expensive as the local (and much tastier) alternatives. Therefore, when I first moved to London I began my arduous search for quality coffee. Thankfully, London offered numerous options that satisfied my taste buds and my caffeine addiction! 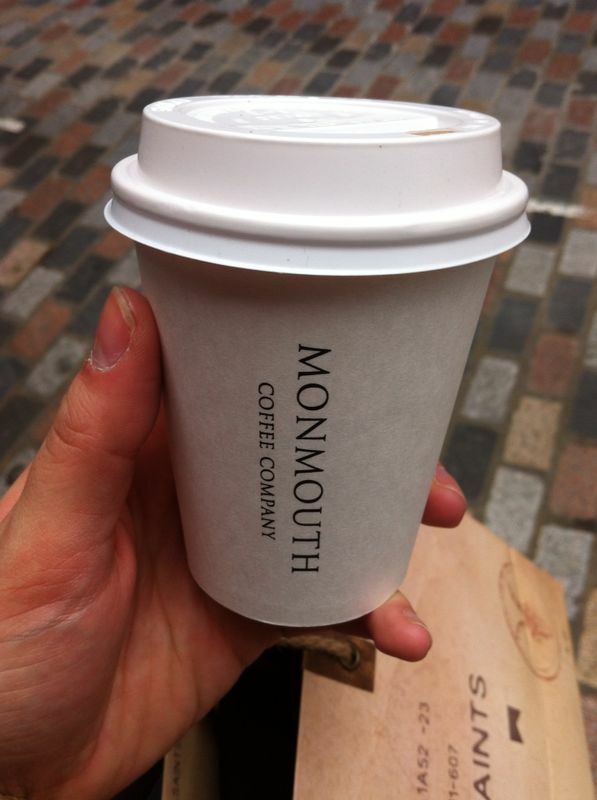 As mentioned in my previous post — American Favorites in London — Monmouth Coffee Co. was my go-to coffee place in London. I was lucky that it was popular enough to have more than one location and that it was distributed to several other local coffee houses. 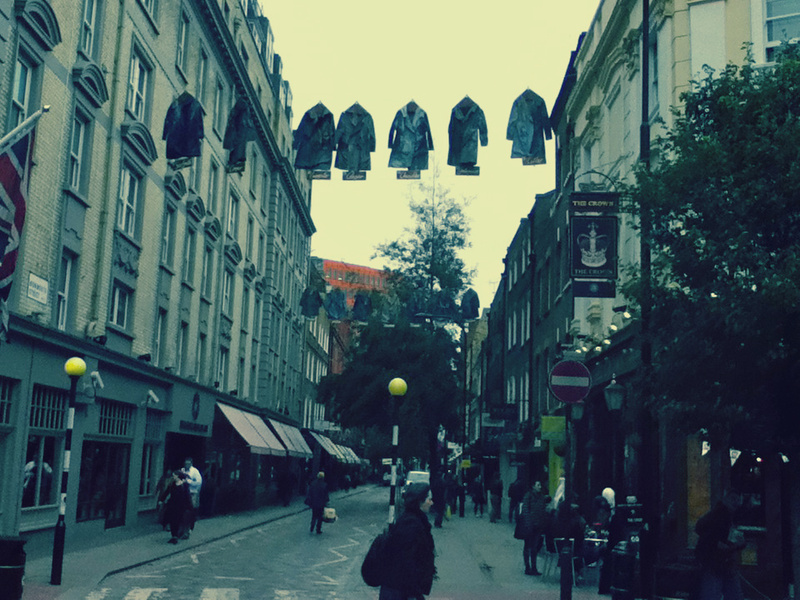 The location I frequented was, of course, on Monmouth street in the Seven Dials area of Covent Garden. The shop has a friendly, yet bare-basics atmosphere and the staff are incredibly helpful. However, the shop is constantly busy and there is often a queue (line) out the door. I recommend buying a latte to go and if the weather is nice; walk to the famous Seven Dials pillar on the junction to sit and enjoy your coffee with ease. The Speakeasy was the usual destination to catch up with friends who had also moved to London or were down for a visit! It’s a small cafe located just off Carnaby Street. Despite that the place is surrounded by large chain stores, the cafe manages to give a very boutique feel. The coffee is consistent and the pastries are worth a try! It’s a perfect spot to sit and rest for awhile after maneuvering around Oxford street. My Canadian friend, Andy, described The Coffeeworks Project best when we stopped in for an afternoon coffee break — “This is the most hipster place I’ve seen outside Montreal!” It’s true, the Coffeeworks Project has a very rustic yet minimalist vibe with recycled furniture and high coffee bar stools. The baristas are friendly and have their intricate coffee art down pat. The clientele is all under 30 and working away on an iPad or Macbook. Friends from Seattle: I give you your home away from home! In all seriousness though, the coffee here is up to standard and goes superbly with one of their rich brownies. Located in upscale Hampstead, Ginger & White offers delicious espresso courtesy of Square Mile Coffee Roasters. This is truly a neighborhood cafe and has a very local feel. Unlike some of the other coffee shops on this list, G&W’s location is ideal for avoiding crowds. I stopped in for a coffee on a cold autumn day before heading to Hampstead Heath and was struck by how laid back the atmosphere was. The coffee will get you in the door but the cafe itself will keep you coming back! This was a treasure I discovered right before I left London and was disappointed I hadn’t found it sooner! Having visited Kipferl, I feel like I got a good sampling of a Viennese Cafe. When you order a coffee it comes with a small glass of still water (as is typical with Austrian coffee). The coffee is strong but not bitter and perfect with one of Kipferls homemade pastries. I enjoyed my latte with a slice of their apfelkuchen (an apple cake with lemon and cinnamon.) Kipferl is less than a minutes walk from The Coffeeworks Project and a short way from Angel Tube station. If you’re looking for more of a European cafe experience rather than intricate coffee art and hipster baristas — this place is for you! Next time you’re in The Old Smoke, I urge you to set aside the convenience of Starbucks and get to know a little bit of London’s coffee culture! Whenever friends go to visit England, I always encourage them to try and get out of London. Don’t get me wrong, I love London! But, often visitors seem to think if they go to London then they have seen all there is to see in England and that is a travesty! There are some truly amazing and worthwhile places to visit outside of England’s capital. The city of York is simply one of many. York is located in Yorkshire, a district in northern England. It’s a historically rich city that has one of the largest Gothic cathedrals in all of Europe; York Minster. 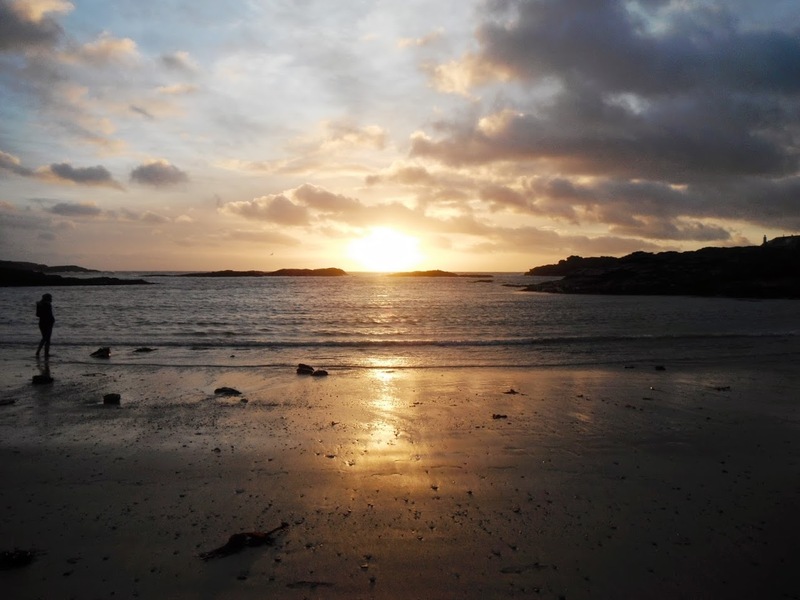 The vikings had settlements here and it was a significant city during the Roman Empire. 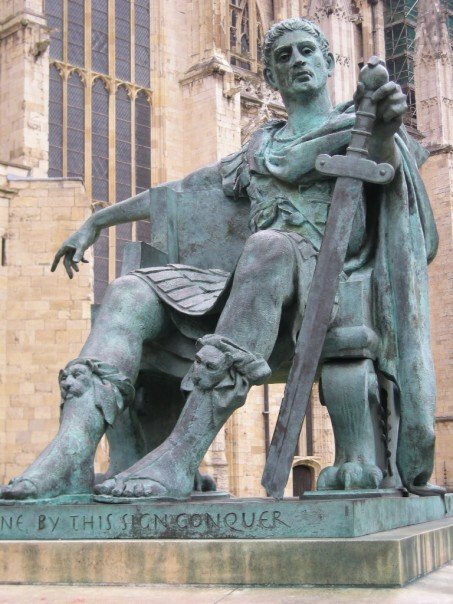 If you need a little bit of name dropping — Constantine was crowned Emperor here and William the Conqueror made his merry little way up to York to quash a brewing rebellion against him in 1068. 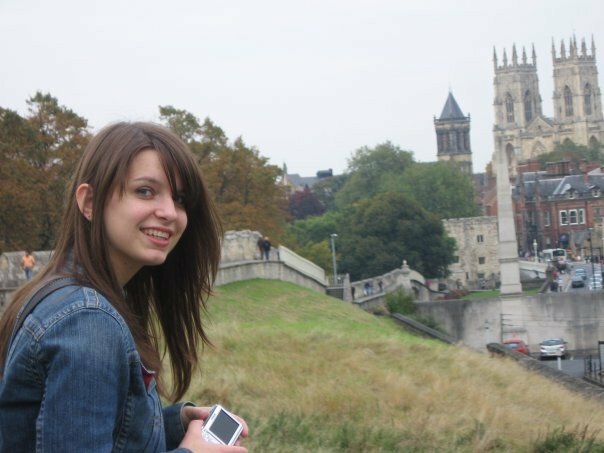 York can be an incredibly cheap city to tour for one big reason — you can literally walk everywhere. The historic part of the city is only a ten-minute stroll from the train station. Then once you arrive in the city you can walk for free on top of the city walls. In its long history, York has been under siege numerous times and seen a lot of important battles. Therefore sometime between the 12th and 14th centuries connecting walls were built around the city to completely enclose it. These walls still stand today and create a unique way to tour the city because visitors can walk along them and look down on the city below. Due to the fact that most of York’s major attractions are the structures themselves, the walls allow you a free way to view everything. York Minster is a beautiful and gigantic structure that stands at the center of the city. Construction on the current cathedral began in 1210 and there have been numerous renovations in the centuries since. However, there are records of churches on the site as far back as 627 AD. I have only been into the foyer of York Minster as you have to pay to see the rest of the cathedral (I was a poor student both times I visited). But, even in the entryway you can see several tombs and alters as well as the ornate stained glass windows at the front entrance. Paranormal enthusiasts named York the most haunted city in the world back in 2004. 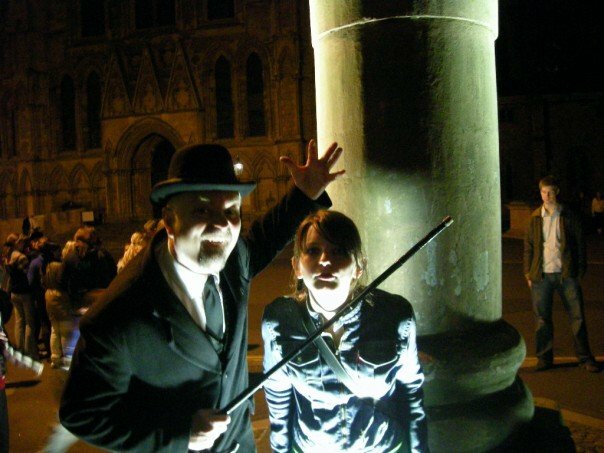 Whether you believe in ghosts or you just like a great ghost story — I highly recommend going on one of York’s many ghost tours. The tours themselves are inexpensive and laid back. The different tours are generally led by one person who have a schtick (I went with the Ghost Detective) and are near the city market on the weekends waiting to take visitors around the city by foot. The tours are entertaining and a great way to walk around the city while learning more about the local lore. Be prepared to have cash on hand if you do these tours as the guides don’t tend to take credit cards. 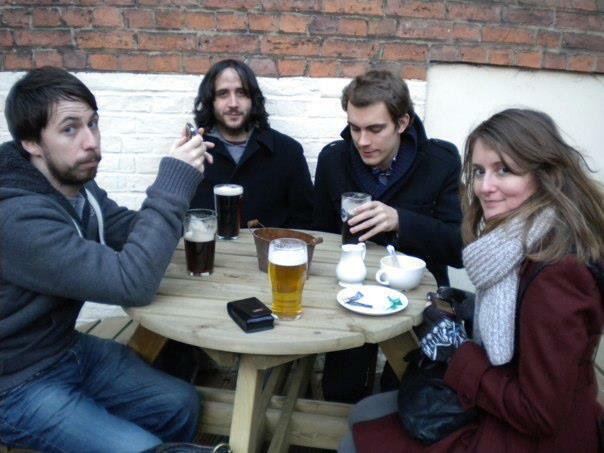 After you have finished with your ghost walk, drop into the ‘most haunted pub’ in York — The Golden Fleece. Ghost stuff aside, the Golden Fleece has been in existence since 1503 and offers a great atmosphere with plenty of Real Ales (microbrews) on tap. If you are interested in staying the weekend, the Golden Fleece is also an Inn that has several rooms above the pub. On a social note, Northern England offers a similar type of hospitality the southern U.S. is famed for. People tend to be very welcoming and happy to answer any questions or concerns you have. Another thing about northern England — you MUST have cream tea. Cream tea is a pot of tea and fresh-baked scones with clotted cream (a sweet cream) and homemade strawberry jam. Overall, you can’t go wrong with visiting York! Out and about near Monmouth St in the Seven Dials area of London.